Chvonne’s analysis required me to problemetize my understanding of social media. As I considered her application of rhetorical theory to Snapchat, I starting thinking about social networks in terms of Biesecker’s approach that discourse invokes the rhetorical situation: Does Snapchat, as a social communication medium, fuel its own discursive formations? In other words, are Snapchat users compelled to share an “authentic situation/experience/moment” before they use Snapchat? 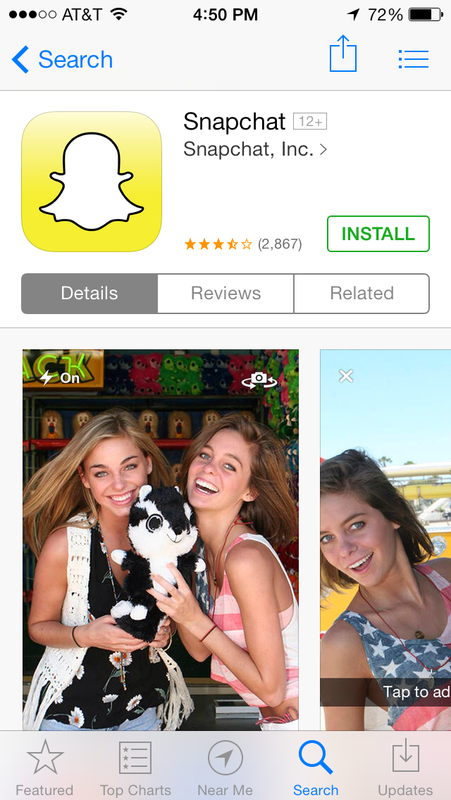 Or does Snapchat compel users to identify and share that “authentic situation/experience/moment”? Chvonne rightly describes Snapchat as a “site of discourse,” but I am intrigued to consider the possibility that Snapchat is itself a discursive formation that reflects the exigence of its founders to combat the documentary profiling that traditional social networks offer/require. Snapchat’s philosophical foundation, which plays a prominent role in Chvonne’s analysis, may offer the opening response in a diachronic discourse with other social media philosophies regarding, in Chvonne’s words, “what counts as connection, what counts as authenticity, and what counts as communication.” These are exciting questions that I’m eager to follow through Chvonne’s continuing applications. Leslie’s analysis provided a detailed analysis of the communication network of the Noel Studio. Its focus on information transfer limited and frustrated her, but it succeeded in offering a cogent, detailed understanding of the flow of information in, out, and around the Studio. Hardware as a theory is new concept to me, but my experience as a freelance web developer and SOHO office network consultant and developer means that using hardware as a critical lens results in a high level of accessibility to the object of study. I found myself wavering between network hardware and computer hardware in the analysis. Computer hardware requires all data to reveal itself and its meaning to the CPU as some point while traversing the system. Network hardware does not require data to reveal its meaning; it simply passes the signal, switching as needed to control the flow of data traffic. As a result, I’m not sure there is a single, controlling CPU in the information transfer system surrounding the Studio; I think each node contains its own CPU. The Studio space itself is the physical manifestation of a virtual network that connects nodes via strong and weak ties. To me, this suggested the likelihood that some of those weaker ties become stronger ties as a result of their common experience of seeking assistance at the Noel Studio. This enables organic growth of the network, and contributes to the popularity of the space itself and its services. Applying this to other academic support systems suggests that careful attention to the physical and virtual space in which nodes can connect is vitally important to the growth and advancement of the services being provided. Organic growth is difficult to come by; creating a space in which weak ties can be strengthened in the communication network is one way to accomplish that kind of growth. Want to grow your Writing Center? One important consideration is its space. How does it enable and encourage the interactions of nodes that have little else, other than physical proximity and shared exigence, to connect them?